250 days (and counting!) until election Day, Tuesday, November 8th, 2016. 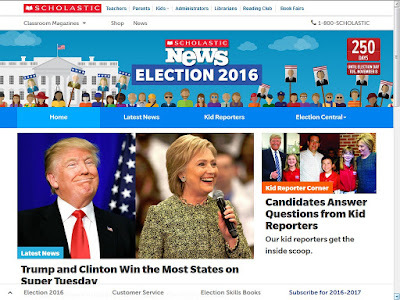 Grolier Online (GO) and Scholastic make it easy to get all of your presidential election news and information in one convenient place! Whether it is the latest new on the primaries, the steps a candidate follows on the road to the White House, a timeline of upcoming events, or information on each of the current candidates, you can find it in the Scholastic News, presented in an attractive, colorful website geared to all ages. All the information you need, in one place, just a click away! Try it today!